The Christmas holiday is winding down now we have the New Year to look forward to; thank goodness we have a week to prepare for the New Year. Relax a bit and have a cookie as you enjoy this Monday’s montage. 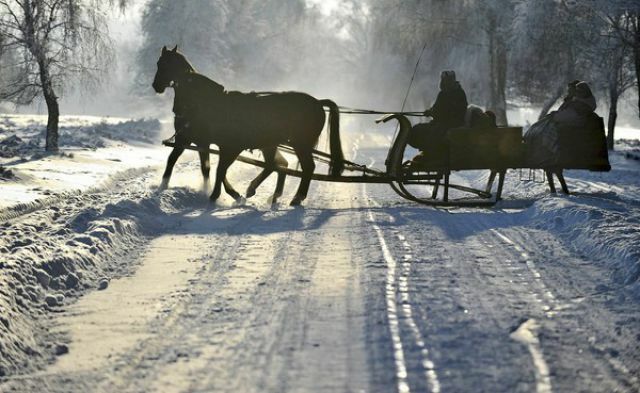 Horse drawn sleighs can be seen in the German town of Undeloh. The weather might have caused problems to most commuters, but these rural folks have things under control. The MS Tennessee works its way through the 20-25 centimeter thick ice in the Fjord in Denmark. 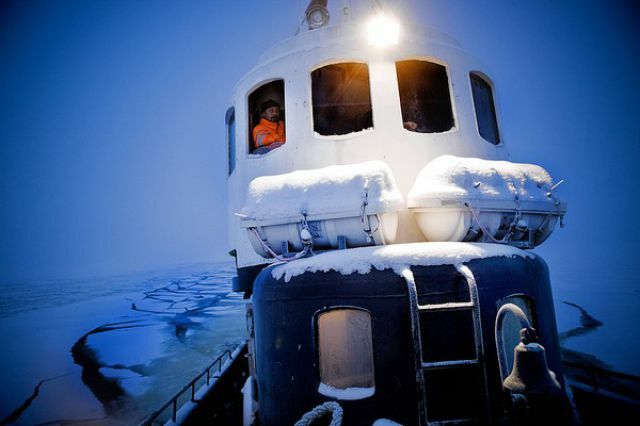 The boat is a combined tug and icebreaker weighing in at 100 tons with a 550 BHP engine and a hull that has been reinforced. The 27th annual Harbin International Ice and Snow Festival kicks off January 5th. 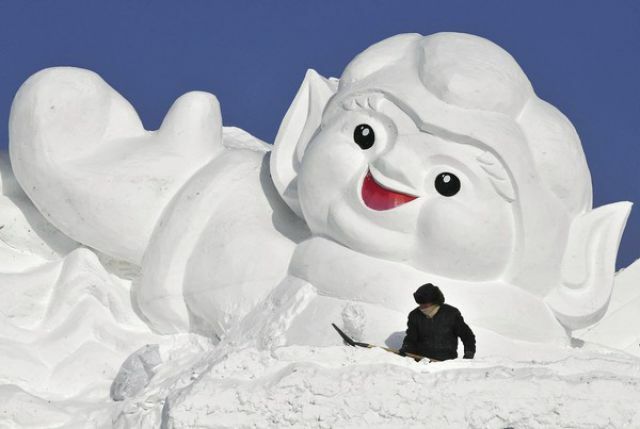 This worker shapes a snow sculpture prior to the kick off in the Harbin Hellongiang province. 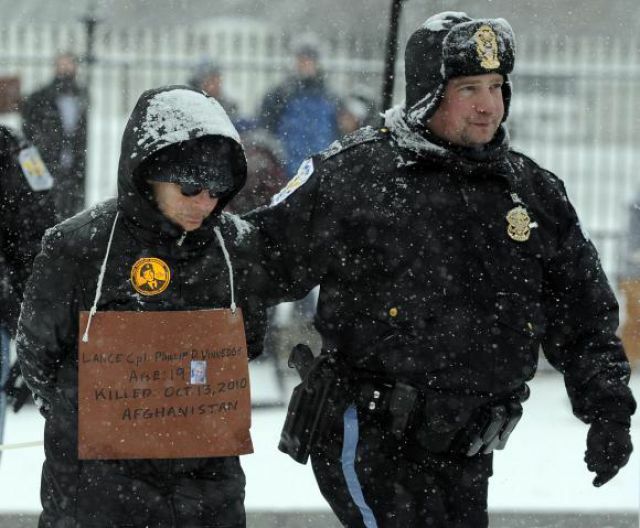 This poor protester wishes that was the agenda, instead he is arrested for his protest to the war in Iraq and Afghanistan. Where have your clothes gone? 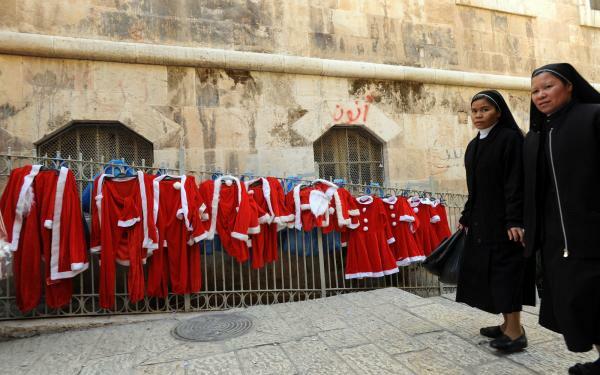 Why they are hanging outside a shop in Old Jerusalem as the nuns walk by in shock. This cat is shocked to find that the average gas prices have jumped to over $3.00 a gallon and is the highest ever for a holiday season. Santa isn’t the only one that can show off on water skis during the 25th Annual Water Skiing Santa show. 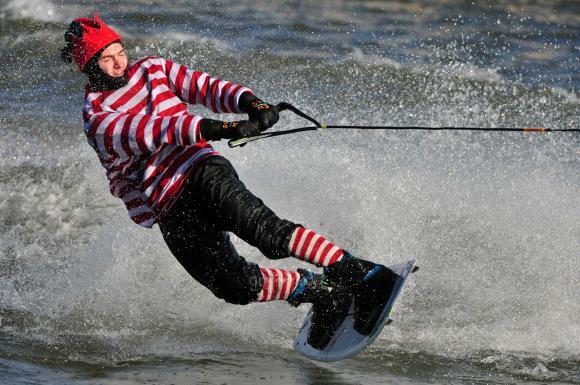 This elfin wakeboarder does a pretty good job of his own on the Potomac River. The Lambda Centauri Nebula that is what. This is an exceptional shot using the NASA’s WISE telescope. 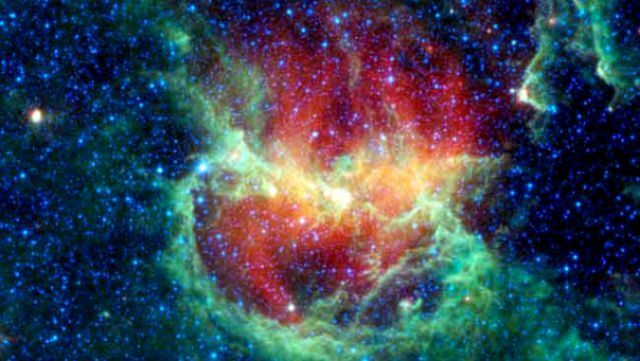 The nebula is about 5,800 years from Earth and home to a new cluster of stars born about 8 million years ago. Crippling the big city with 18 to 20 inches of snow and winds up to 30mph. 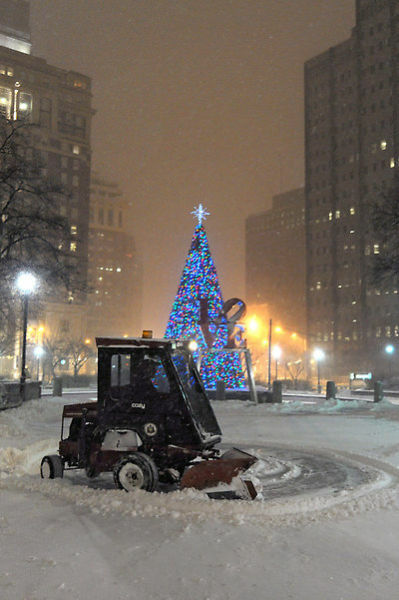 The thunder snow hit from New York through North Carolina and Massachusetts and had airports closed. In Germany, one liter of gas is at € 1.49 at the moment. 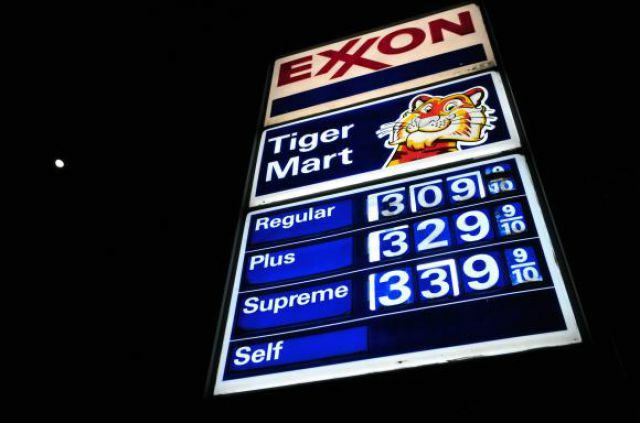 That would be € 5.64 per liquid gallon. Which places a gallon bought in Germany at $ 7.40. So stop complaining! They actually call that a snow storm. Winds 30 mph?!! That's just a breeze around here.